Moved from Agonopterix. Thanks Terry. This is Agonopterix flavicomella It occurs coast to coast. ... but not matching closely anything in MONA Fascicle 6.2 (Hodges 1974). This beautiful photo should be sent to Jerry Powell. Here are Jerry's comments: "yes, it is a species of Agonopterix, a member of what used to be called Oecophoridae; now Depressariidae probably fits best --- Oecophoridae s. str. are relegated to a completely different clade. One would need to dissect a male to be sure of the species. Most of these feed as larvae on umbells, some on Asteraceae." It looks as if Depressariidae is not (yet) a widely accepted family in N.A., so I'm not sure under what family to file it here at bugguide. For now I'll move this to Agonopterix in Oecophoridae. 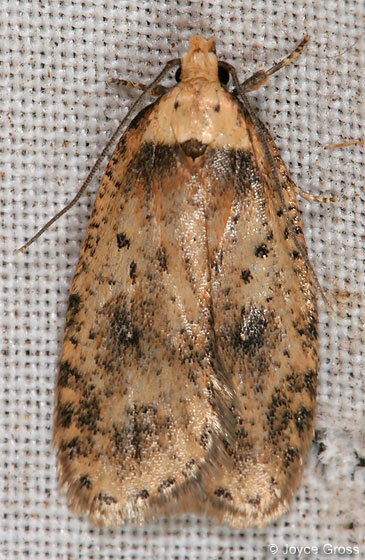 Actually Agonopterix is under Elachistidae in bugguide.... I've moved it there.